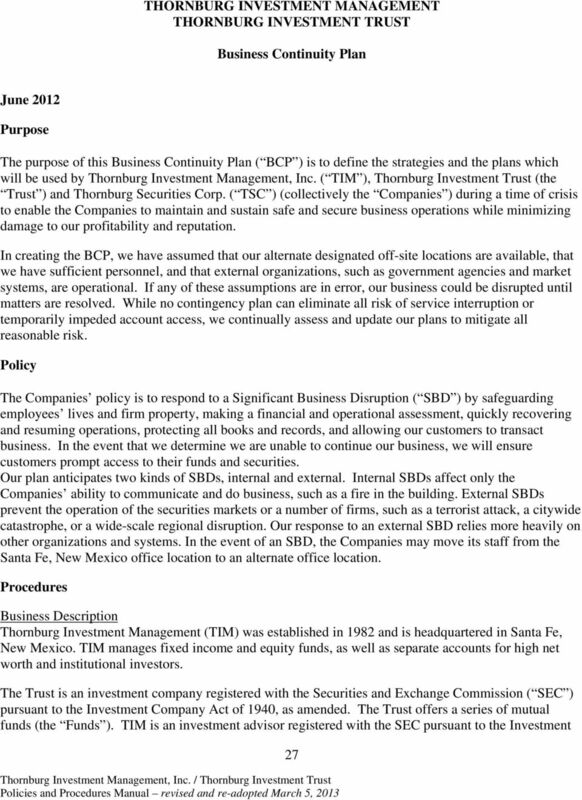 Download "THORNBURG INVESTMENT MANAGEMENT THORNBURG INVESTMENT TRUST. 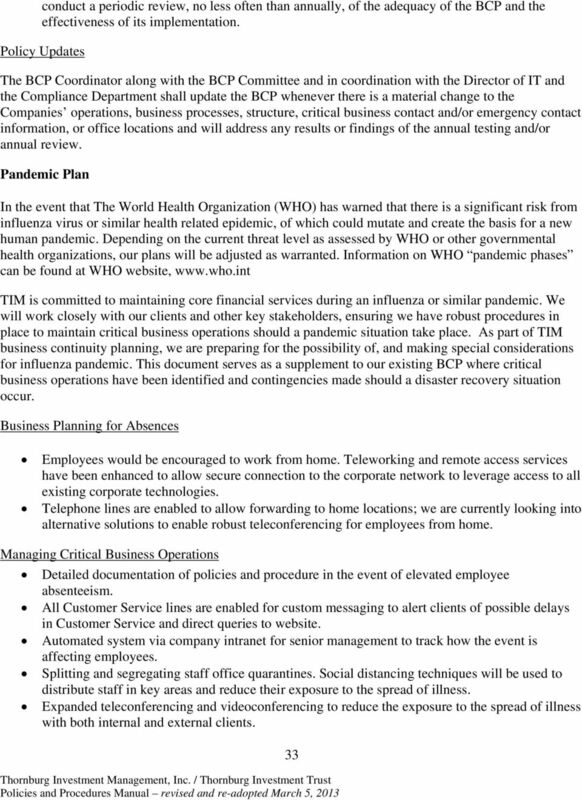 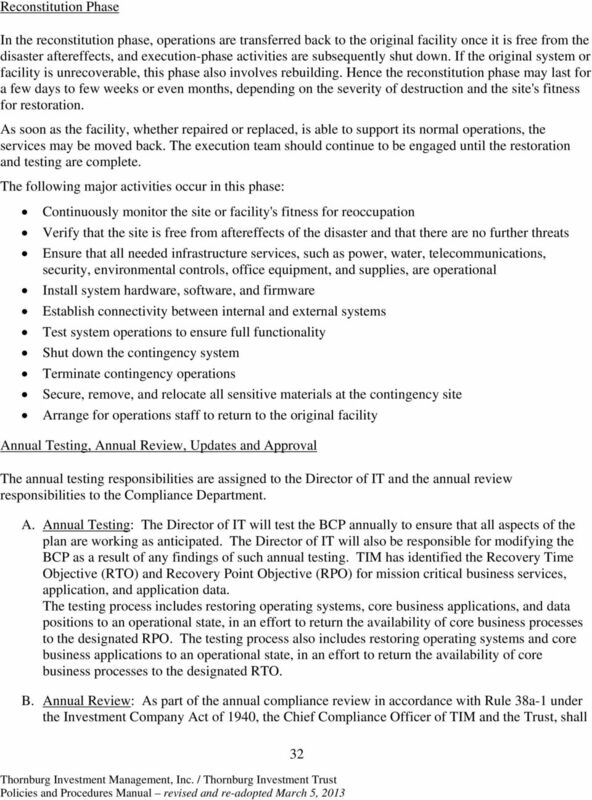 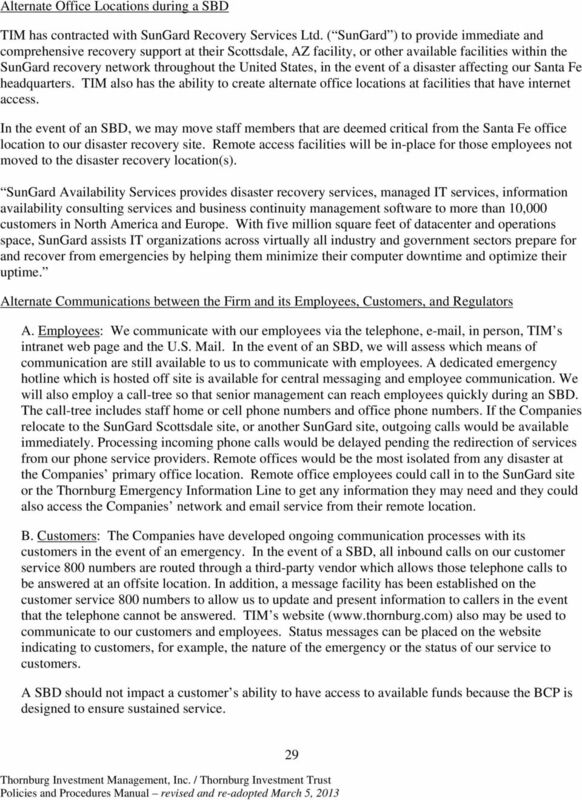 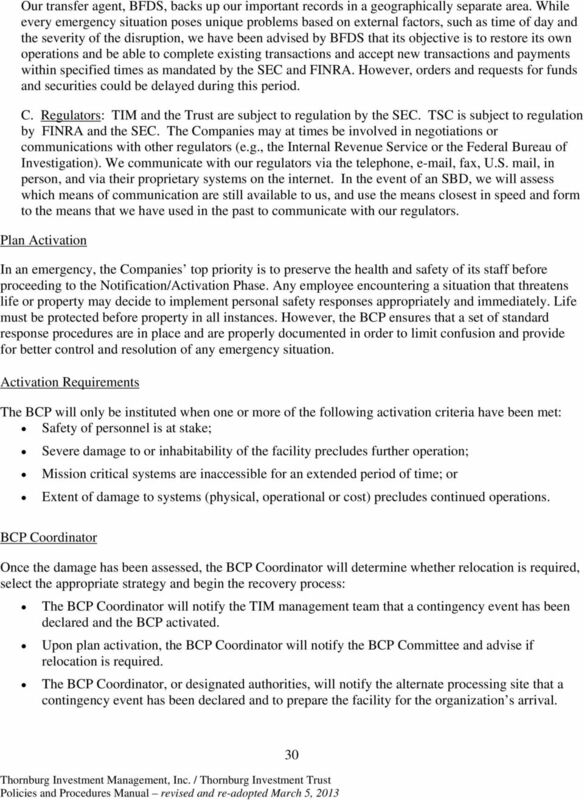 Business Continuity Plan"
Business Continuity Plan For Stonefield Investment Advisory, Inc. 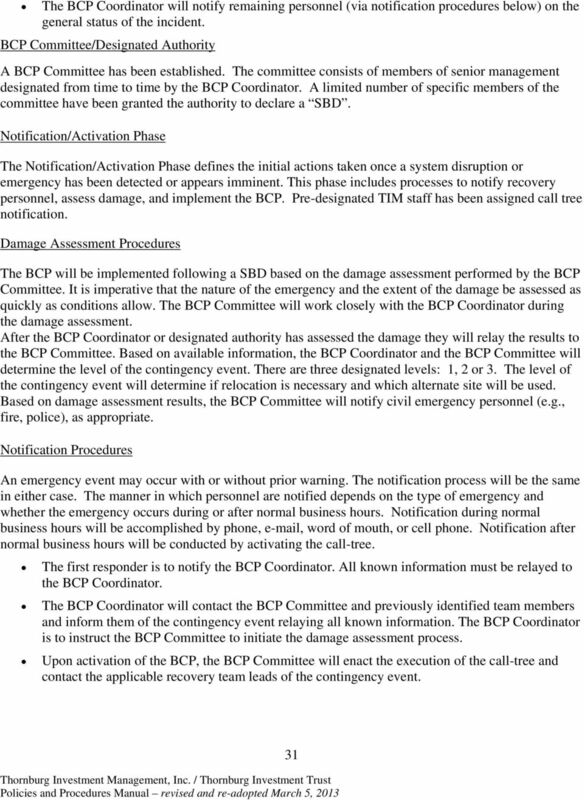 Thanks to Jim Goble, National City Corporation, for providing the resource material contained in this guide. 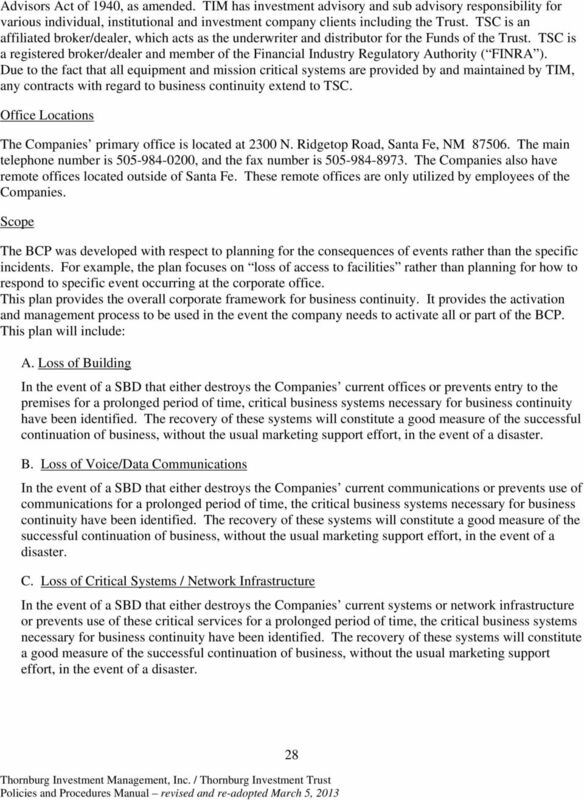 Creating a Business Continuity Plan Micky Hogue, CRM Sandia National Laboratories Albuquerque, NM 505-844-6640 Mlhogue@sandia.gov What We ll Cover... What is a Business Continuity Plan Why create a BCP?